The Pyeongchang Olympics were officially declared open on Friday morning, February 9, 2018. But five days prior to this, Robert Boileau was already there with Zamboni engineer Kelly McMillen. 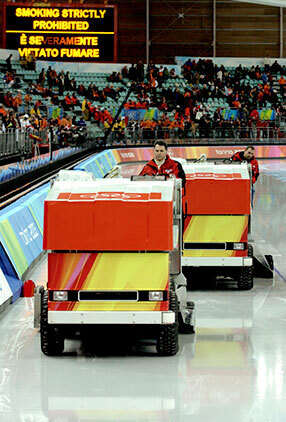 Back in July 2017, the Olympic Committee outlined its supervising expectations to Zamboni’s Korean distributor. They needed expert technical assistance for the entire period of the games, as well as Paralympic games that would follow immediately after. Zamboni Co. Ltd called on Robert Boileau’s services for his expertise in the electrical resurfacer and his input in the development of the new Canadian manufactured electric ice resurfacer, the 650. 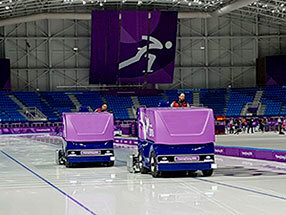 Kelly and Robert are now in the midst of supervising the 17 electric Zamboni machines scattered among the venues for figure skating, speed skating, hockey and the oval for long track skating. 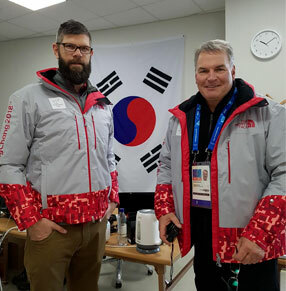 This is the second Olympic experience for Robert Boileau. The first time was in Turin in 2006. He was working on the Lingotto oval, under the supervision of Alberta’s the long-track expert, Mark Messer.